Caddis flies are one of the most important aquatic insects imitated by fly fishers. 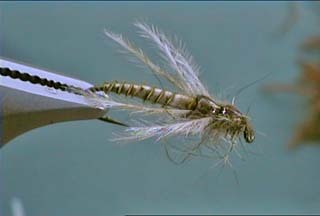 The Elk Hair Caddis is a go-to dry fly pattern by many fly fishers. Caddis are found around the world in all freshwater habitats. The adult resembles a moth when in flight. At rest the wings are folded in a distinctive tent shape down the back.